Read on to find out how to get the best out of the webinar experience with some helpful tips on how to present a great webinar. 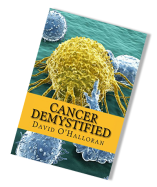 With over 25 years of experience of teaching about cancer I started experimenting with webinars about 5 years ago...and they have gone from strength to strength. But I must say it took some getting used to. Using webinars for teaching is very different from using webinars as a marketing or selling strategy. As a teaching aid it is very convenient, no travelling, easy set up, and a good use of time. But it is not a face-to-face interaction so you can not easily rely on body language to assess the impact on what you are saying. How do you know people are understanding the important points, how do you know they are even paying attention! Here are some helpful hints for those attending, and for those delivering webinars, put together with Vicky Tudge, ACC and clinical coding trainer. Set up a room in which you can guarantee you won’t be disturbed, either at home or in the office. Ensure, before you start that you have all your books, notes, pen, drink, etc to hand. Set up a ‘command centre’ so that everything is within easy reach. The chat box becomes your communication, in exactly the same way you would scan the room and listen for questions, keep your eye on the chat box for any questions or answers to questions that pop up. This is especially challenging with many delegates but comes with practice. The slide you see is what you get – there is no excessive clicking through animation allowing you to concentrate on delivering the Key Learning Point in question. In contrast to a classroom training environment a webinar puts your presentation skills to use. The session, by nature, is not as interactive but you can ask as many questions as you feel comfortable with by asking for answers in the chat box. Don’t allow your eyes to stray too much around the screen, the camera is your eye contact and the point where you should spend most of your time looking at. Just like you wouldn’t ‘talk to a flipchart’ make sure you don’t ‘talk to the chat box’! Presenting via WebEx is a relatively new concept for coding training but one which we should embrace for the future. Trainers and delegates alike will find their time is much more utilised than traditional classroom methods, through reduction in travelling time, room booking and limited delegates. The sessions are short and purposeful. The last point here is very true. I really enjoy presenting via webinars, and the feedback I get tells me that those who attend really appreciate the webinar experience. It is the responsibility of the presenter to make the webinars as interesting and interactive as the technology allows. Practice really does make perfect. Yes things do go wrong...but then how many of us have been late for work or a meeting because of traffic chaos. How many have had to attend to urgent things and has impacted on the working day. These things happen. In the same way webinars can be interrupted by technical issues...internet problems...audio problems. these sometimes cannot be helped and people need to be aware of this from the outset. I have nothing but positive thoughts about webinars and their impact on my future services and feel confident that when you invest in a webinar with me you will not be disappointed...and in fact want to come back for more! Hope you found this useful. If you did please share with others. And if you would like to find out more about my webinars then email me or check out my website.